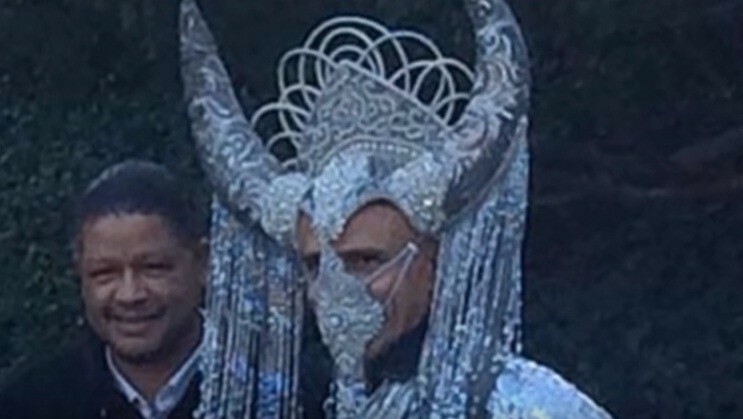 Barack Obama Dressed As Satan – Coercion Code – "Dark Times are upon us"
An eerie image of former American president Barrack Obama dressed up in the attire of Satan has now gone viral on the internet. The image was originally uploaded on Instagram by Anne-Marie Hope, an artist known for illustrating Satanic churches in her profile. The photo appeared with the caption, ‘Class and Grace, You are my favorite’, and it soon went viral on the online space. However, Hope soon deleted the photo for unknown reasons. Even rational people claim that the world is secretly controlled by Illuminati, and people including Barrack Obama are members of it. According to these theorists, members of Illuminati used to worship Satan and Antichrist, and take part in satanic rituals secretly. These people appear to be Satanic. So, it would seem, are their supporters. One need only read through the non-stop hatred of Donald Trump to realize those opposed to him not only have some other agenda, they serve evil. I think there are issues with more importants than this crap! Please use your platform for broadcasting help to mankind!! !